Whether you like it or not, Autumn has arrived. It's funny writing this now, as many parts of the UK (i.e. not Wales!) have just experienced the hottest September day since 1911. Nice for some, eh? It started off sunny and warm here in The Valleys, but by half past ten I was rushing outside to retrieve the washing, to the soundtrack of thunder. The rain stayed pretty much all day, on and off, so while London folk were probably basking in heat, I was actually wearing a cardigan and popping my cosy slippers on. 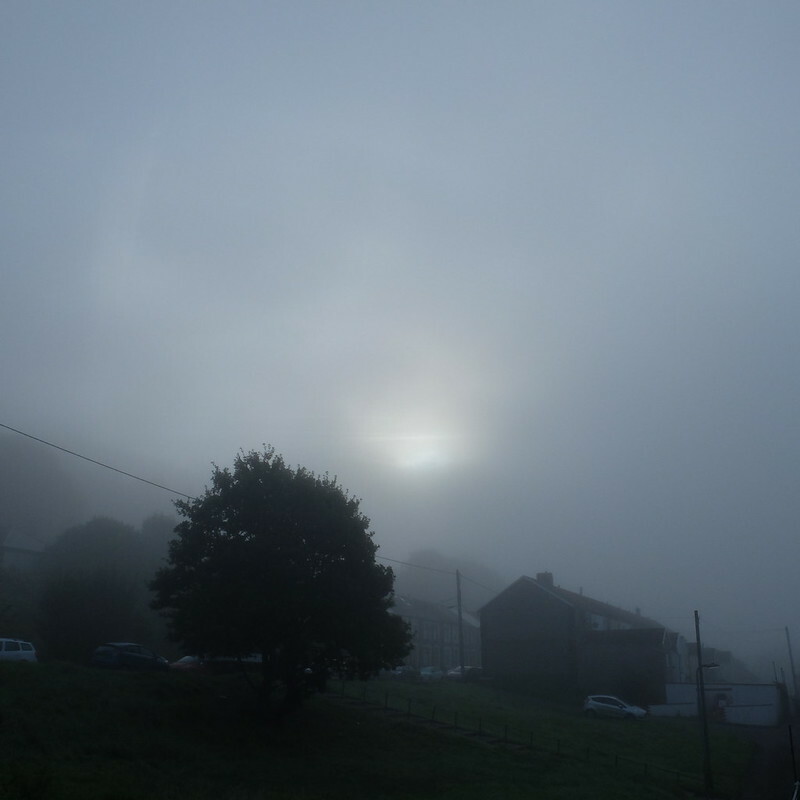 The weather has been a bit odd to say the least here in Wales, with some impressive fog and mist. Aside from the weird weather, the early fading of the evening light and the chilly mornings, other signs that Autumn has arrived can be seen. I'm not talking about all of those A/W catalogues dropping through the door, or the new shop window displays. I'm talking apples! Yes, we have our first ever crop, a couple of years in from planting our little apple tree. No plums this year, mind. I suspect that our trees (Mirabelle, and cherry plum) fruit biennially. The apples are super tasty; we used them with a rack of Pork ribs a few days ago. I can feel that my Autumn/Winter appetite has arrived already. In summer I live off salads, but as soon as the days get shorter I'm craving hot meat, tasty sauces and stilton. Apart from a food obsession in my household, we've been cracking on with some DIY. Some of it unexpected, like a leak in our hallway that turned out to be a leaky waste pipe from our bathroom. It could have been a lot worse, I keep telling myself, but we still have a big hole in our wall now that needs repairing, on top of the other DIY jobs I had lined up. C'est la vie! I've just had three weeks off work, so going back next week will seem particularly hard I'm sure. It's going to be full pelt until Christmas. I have some major work deadlines, along with PhD ones, and I know that my energy levels are going to suffer once the clocks go back. My strategy this year is more pre-emptive. I've started running more regularly, in a bid to build up my fitness. That way, when the bad weather hits and I can't get out as much, it won't impact on my ability to pick it up again quite so much. I do find it incredibly hard to fight the hibernation urge once we're plunged into darkness. Hurrah for Poldark, I'd forgotten it was back on and just caught up on the first two episodes. I am tempted by Victoria too, but is it any good? 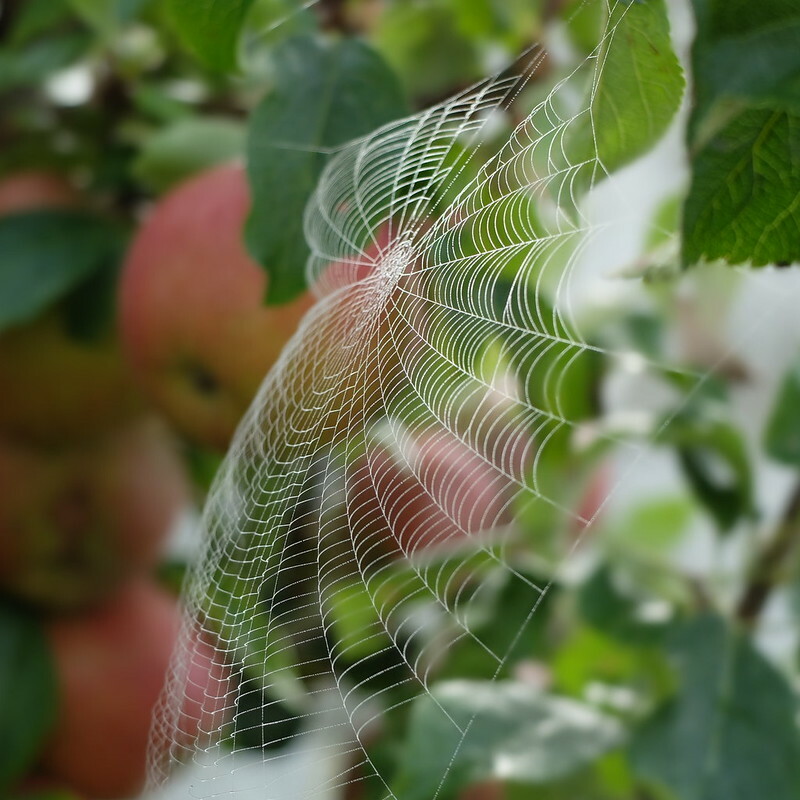 What a stunning photo of that spider's web! You could win an award for that photo I'm sure. I'm impressed with the number of apples you're getting off a newly planted tree. I've never heard of that song but I like the first two lines. I don't know what jet planes have to do with fall. We have a mini orchard in the garden of 5 apple trees so we are overwhelmed! We are melting right now so it does seem weird to have apples and berries in this heat. Dear lord the size of the eight legged beasts suddenly appearing in the house though, that's a downside of autumn for me that's for sure. Oh no, sorry to hear about the leaky waste pipe. There's always something, isn't there? 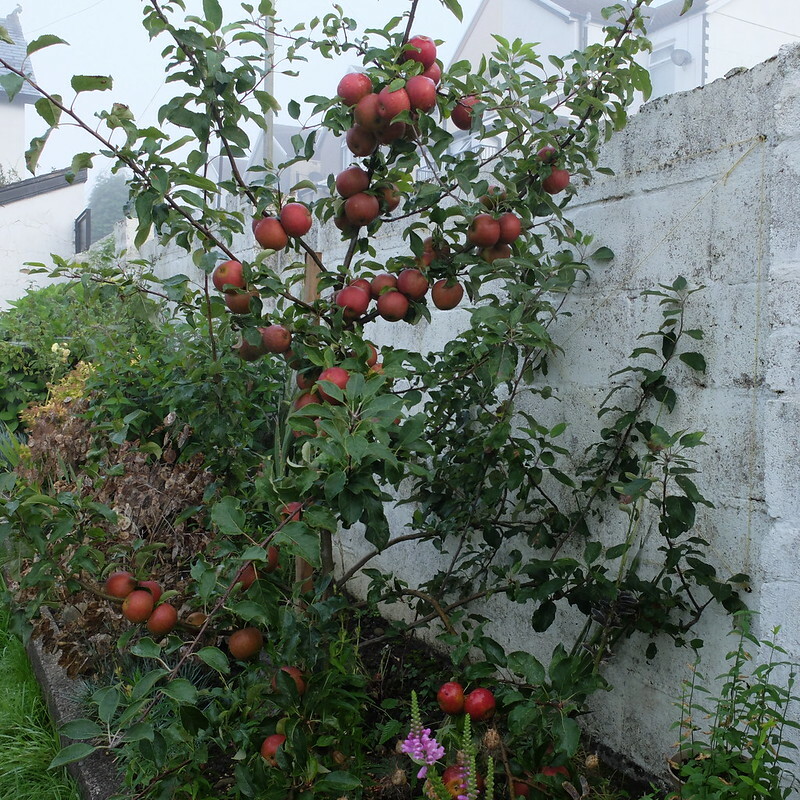 Very impressed with your apple tree, what gorgeous looking apples. Crazy that the weather is so different from where I am, even though your not that far away! London ha been sweltering, and I mean disgustingly so! No aircon on the tube should be illegal I'm telling you! Super jealous that you have been getting some moody, cozy weather already. Looking forward to seeing your colder weather looks! I remembered the song as soon as I saw your post title. We used to sing it in school assemblies too, all the way over in the east of England. We had thunderstorms too, rotten things. I came in to work all prepared for MOAR SUMMER and it chucked down with rain instead. I think we've had our summer. Bah. Like you and CiCi Marie, I'm definitely more of a spring/summer person. Good job you spotted the leak and got it fixed before the winter came and the cold made things worse. I love the title of this post. Such poetic lyrics. Oh how I love fall <3 It is my favorite season of the year! 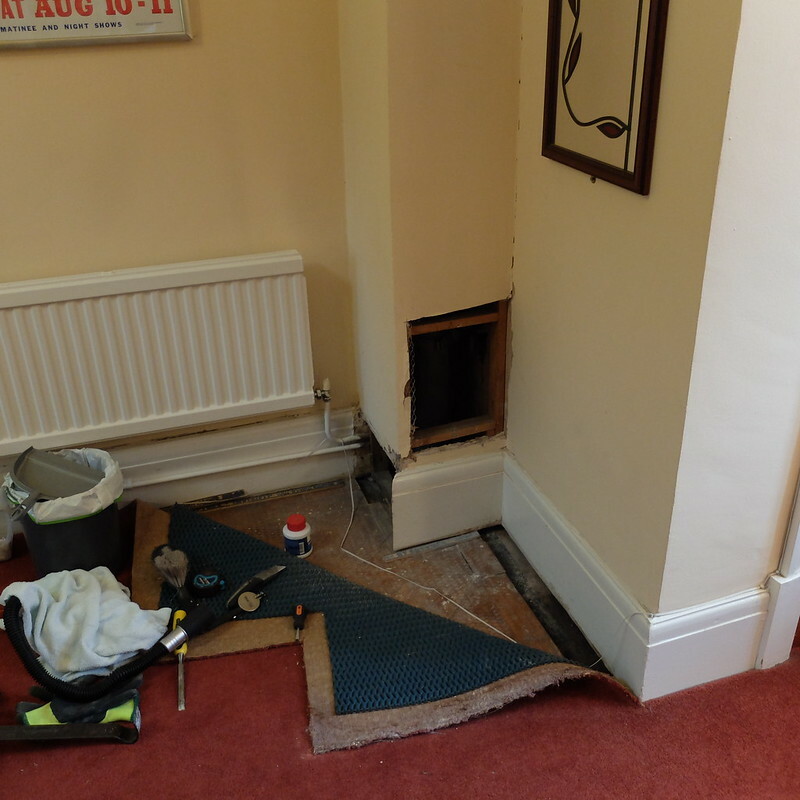 Sorry to hear about the leaky waste pipe! Glad you got it under control before it could get too bad! The hottest days in 105 years you say, my stars, what a record! If summer must depart though, it is rather nice that it did so with such a toasty bang. I'd sure welcome some similar roasty-toasty temps here after the bizarrely damp April - August that we had. 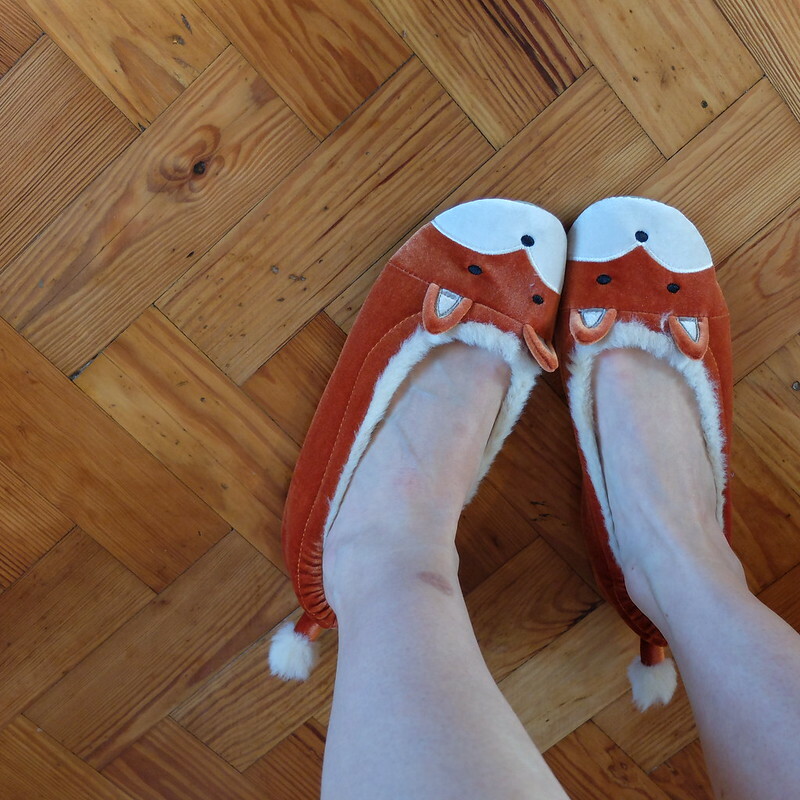 Your fox slippers are so wonderfully adorable. Fox themed, well, just about anything really, is a always a big hit with me, too. I love apples too, just made some very delicious apple tart today :) I got some apples from my mum (and now she's out of apples, when she'd like them!) and right afterwards my bf's grandmother brought some more. I was planning on using our apples to bake the apple tart, but turned out my friend also had apples :D From my mum. Everyone else has too much, except for my mum who was a bit too generous for her own good this year! I have never heard of that song but I do like your slippers, not sure how the bunnies would react though!